I spend a lot of time in Dorset and Devon and enjoy visiting Exeter, where there a number of good secondhand shops – especially if you’re looking for good quality guitars. On a recent trip we decided to go a bit further out to N. E. Tingz, a shop packed with interesting stock. We discovered this Amati alto on a shelf at the side of the shop. 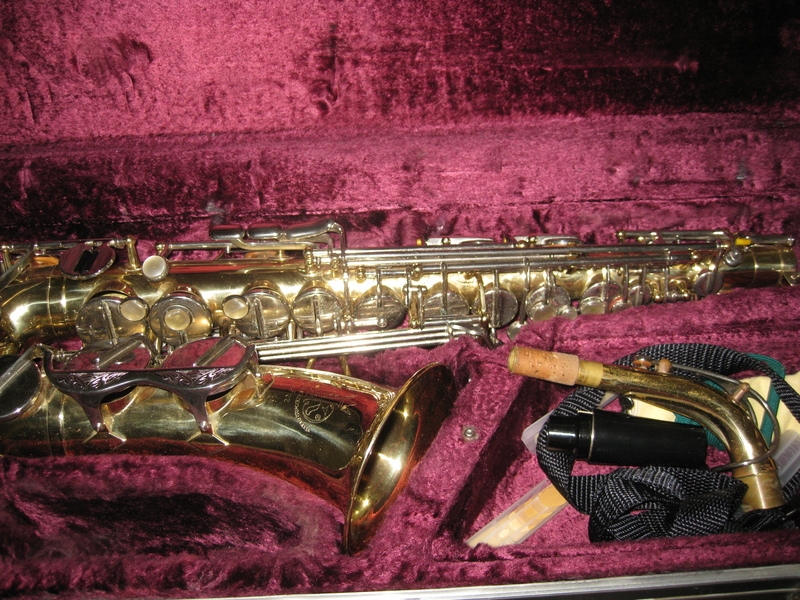 The assistant went off to find the mouth piece and we acquired for a very good price. 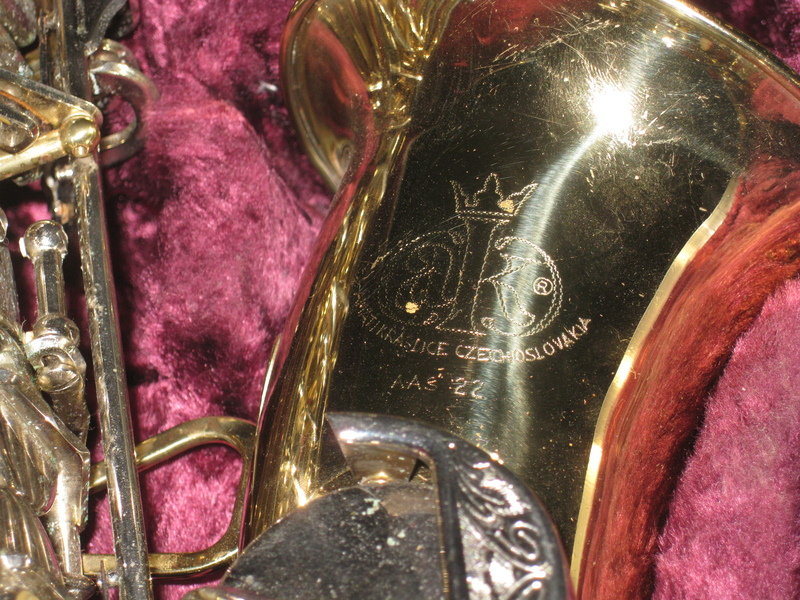 Amati is based in Kralice in the Czech Republic (Czechoslovakia at the time this alto was made, which clearly makes it date from before the Velvet Revolution of 1989). 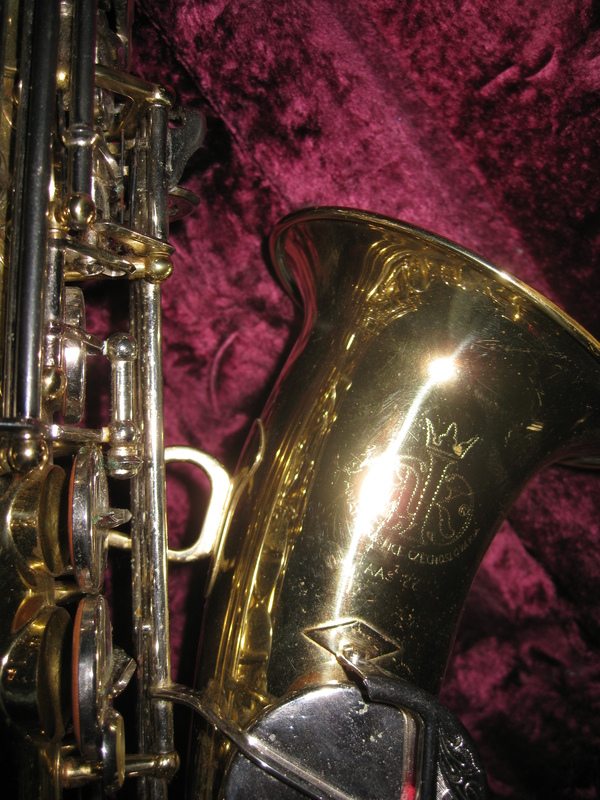 Dennis Gazarek has excellently recorded the history of Amati on the Sax on the Web site. 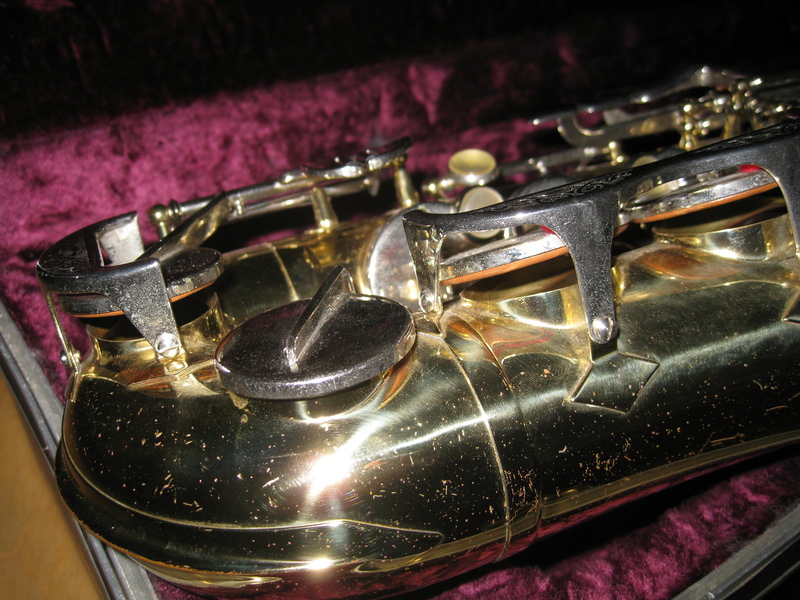 I can find no serial number references for Amati, but the design looks similar to other instruments made in the 1970s – I’ve plumped for 1980, but would welcome any further information. 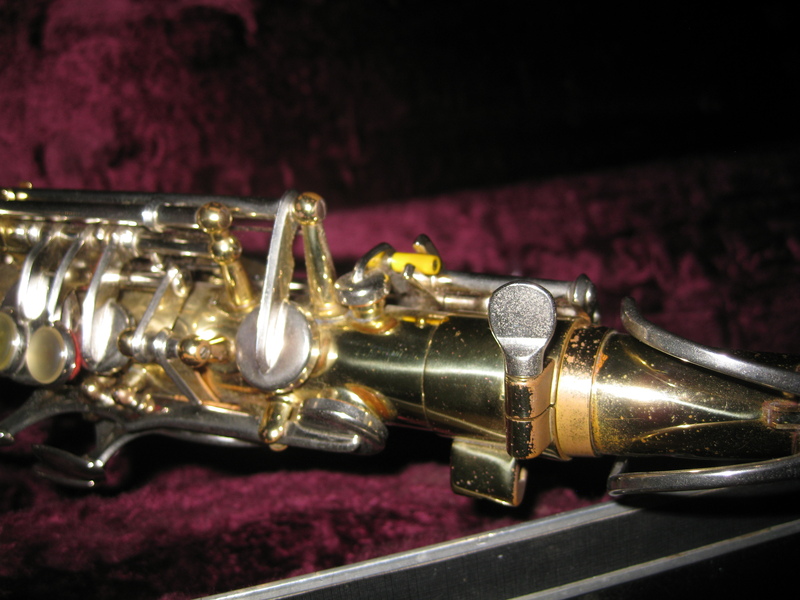 This is a student model, but well equipped and made of solid brass. 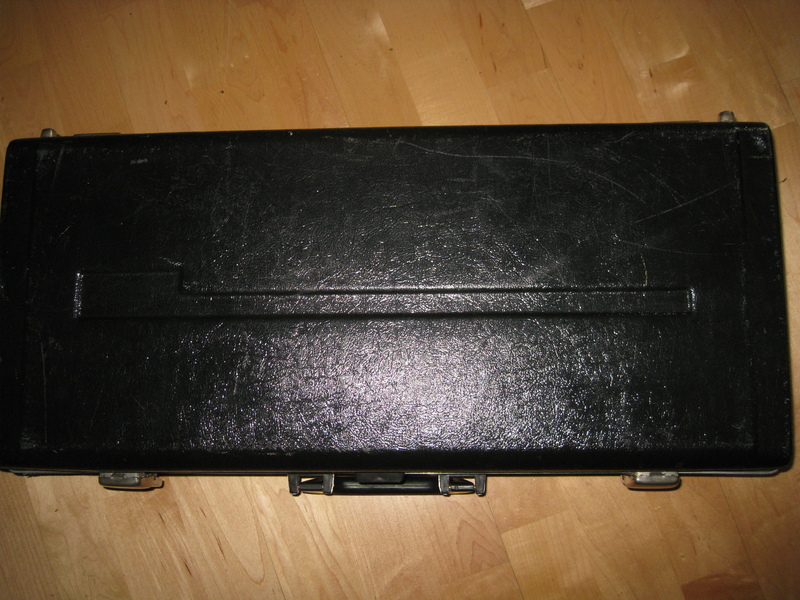 It has silver keys and a recognisable keyguard for the bottom keys with a flat front profile. 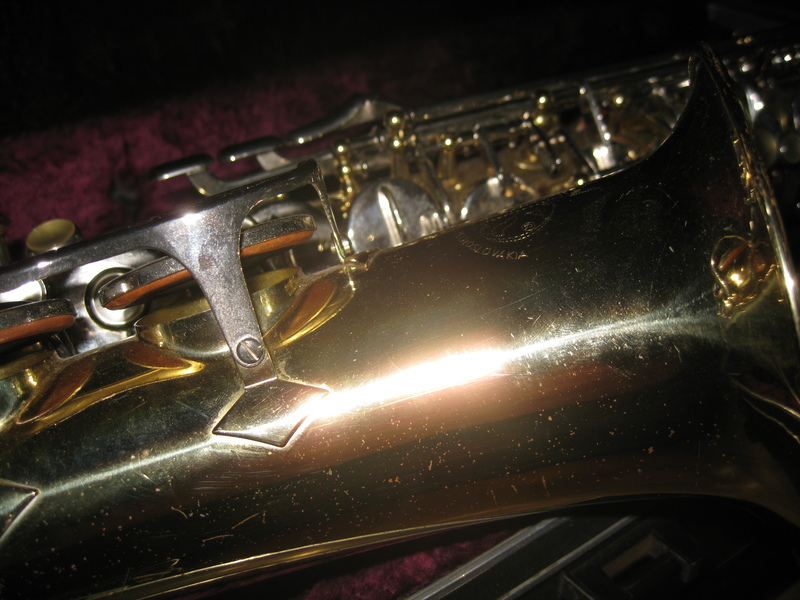 Amati-Denak still manufacture musical instruments, reportedly with over 200 employees in 2 factories: however there is no reference to saxophones – just brass. 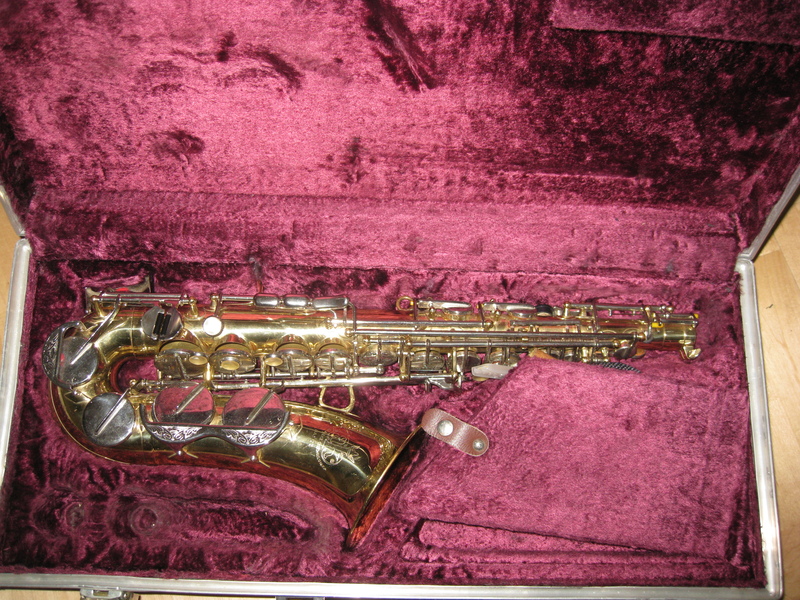 My assumption is that the saxophones they sell today are made in the Far East. 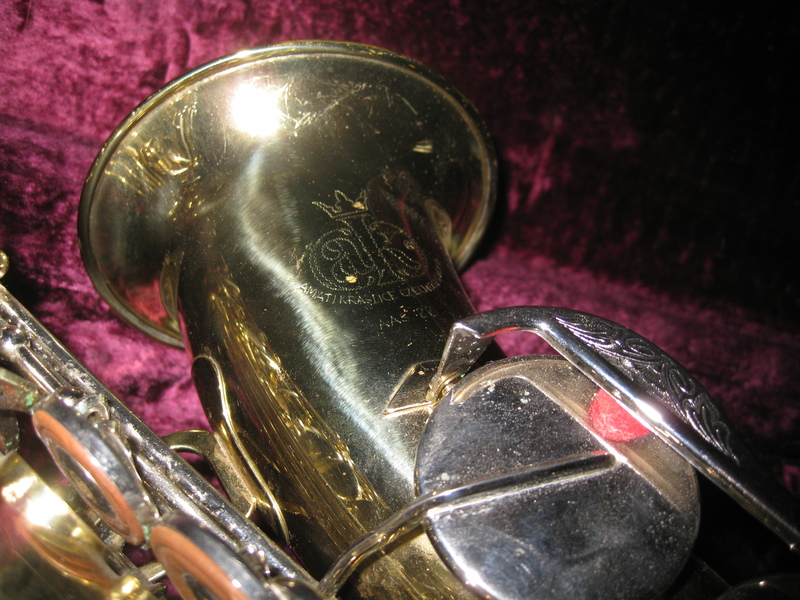 I picked up some Rico Royal 3 reeds and tried out the horn with what I imagine is its original mouth piece. 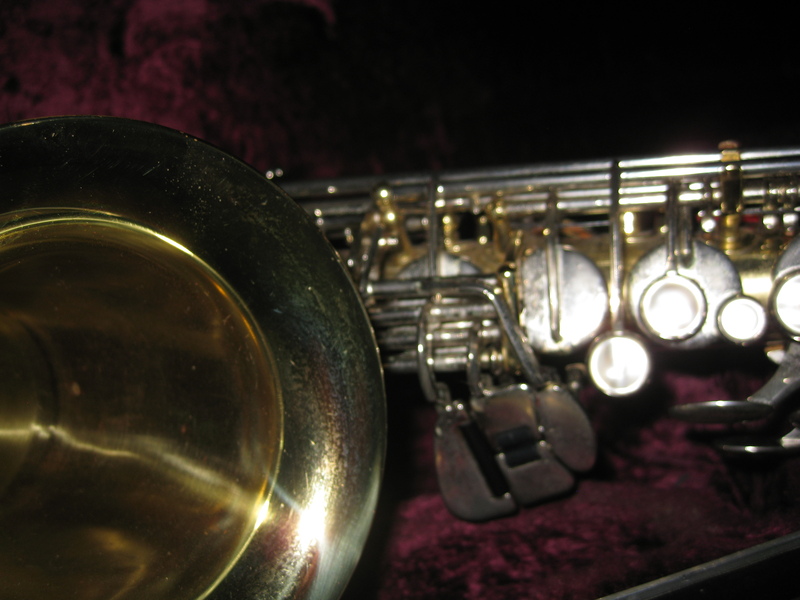 I was pleasantly surprised to find there were no problems with the pads and the horn plays well with a nice wide tone. The action is slightly clunky, with a quite a lot of weight needed in your left smallest finger to close the low B and Bb. 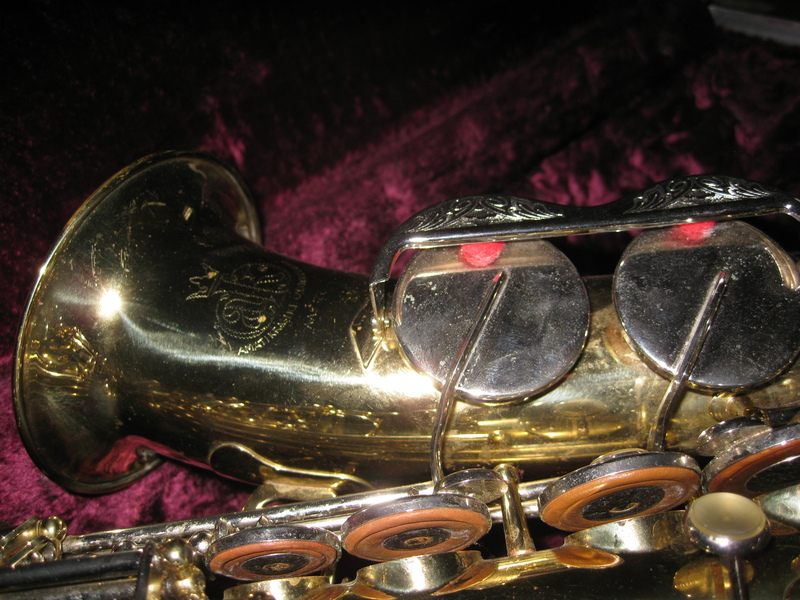 I’m already a fan of the related Keilwerth saxophones, but this is better than the earlier Toneking we have reviewed elsewhere. 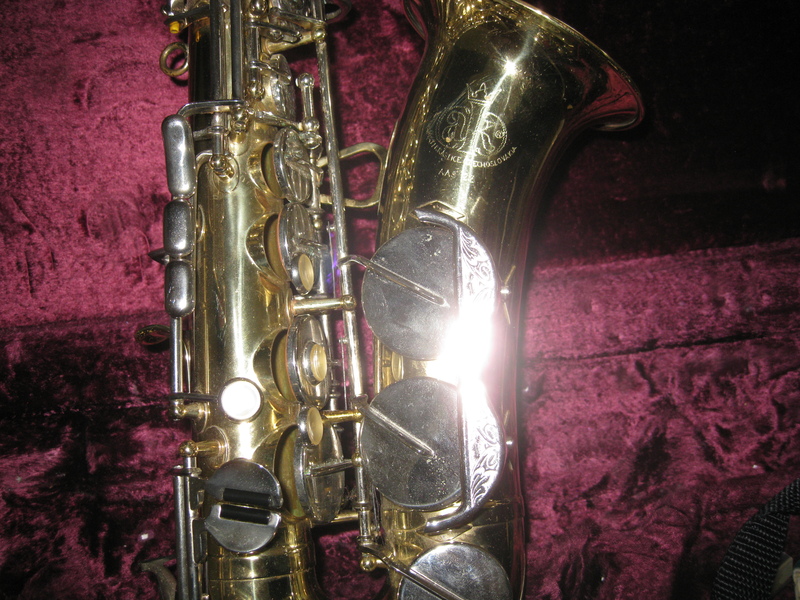 It’s a very modern instrument and every bit as good as the Conn’s and Yamaha’s sold to students around the same time. 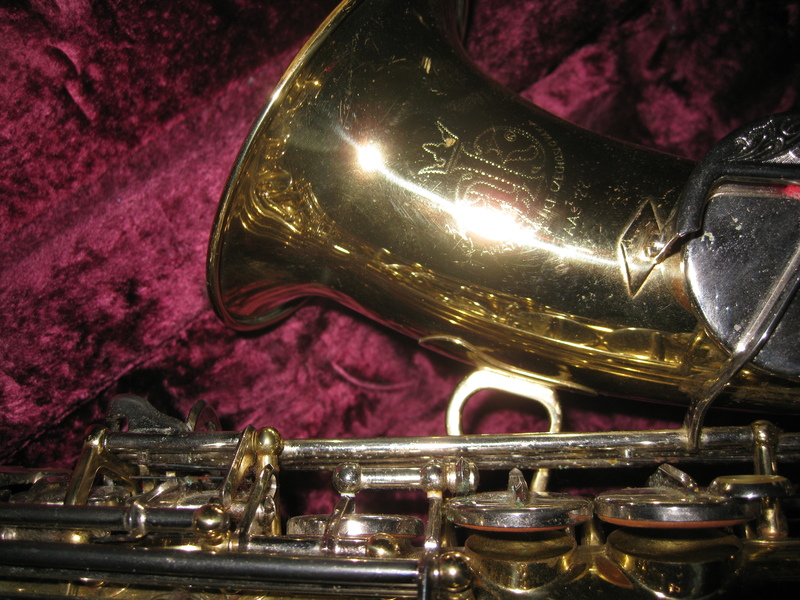 Read the excellent article on the history of Amati on Sax on the Web. 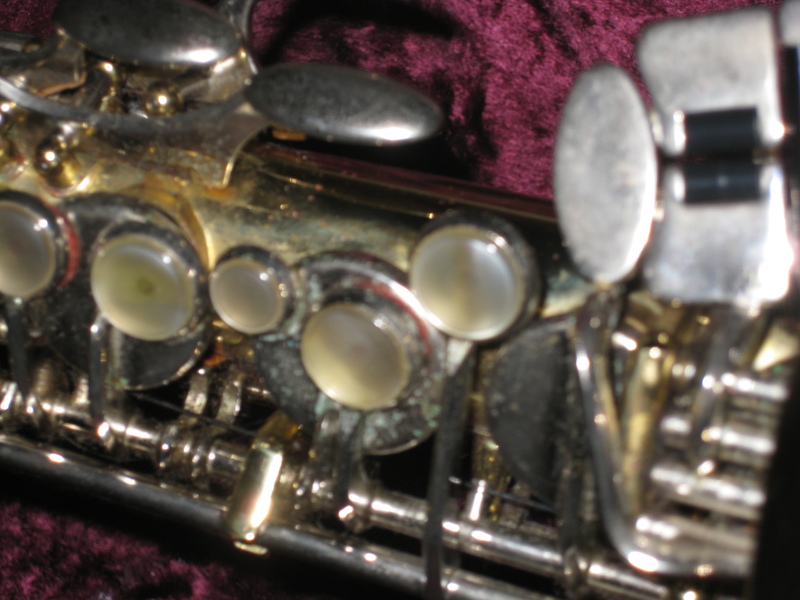 I’m very interested in reviewing other Amati instruments here. So if you have one don’t forget to contact us. How much are these worth today?